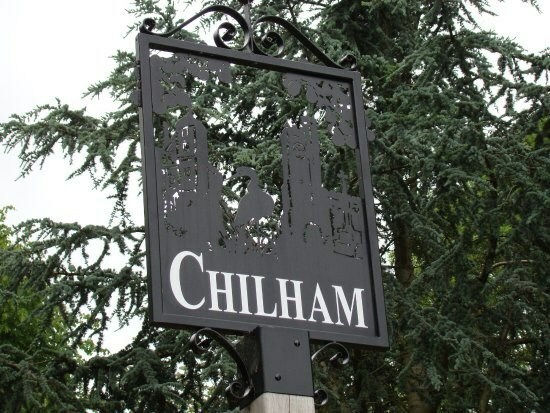 This cache is in the beautiful picturesque village of Chilham, Kent. Just 6 miles outside of Canterbury, with its own train station and the occassional bus. The small village green is near by to a more recent housing development but if you walk round the corner, past the pub and up the hill from here you will find a gorgoeus village square. The square hosts another pub, a cafe, a small shop, the castle entrance and the church, you also walked past the post office on your way up from the cache. The coords will take you to the village green, its up to you to use your cachers intuition to find the cache. Why not do the near by Stour Stride @ Chilham circuit before heading to this cache and up into the village for a bite to eat?